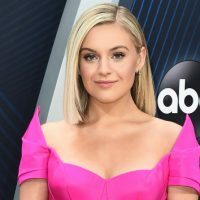 ABC/Image Group LAYou can count Kelsea Ballerini among the many people around the world whose heart is breaking after the tragedy is New Zealand. At least 49 people were killed and dozens more were injured during two mass shootings at mosques in the town of Christchurch on Friday. Kelsea posted her thoughts on social media, along with the words “New Zealand” and the heartbreak emoji. Perhaps Kelsea feels the tragedy even more deeply because her husband, Morgan Evans, is from nearby Australia. Her recent tour mate, Keith Urban, was also born in New Zealand, though he was raised in Australia. In addition, much of the country music family happens to be Down Under right now for the annual CMC Rocks festival.